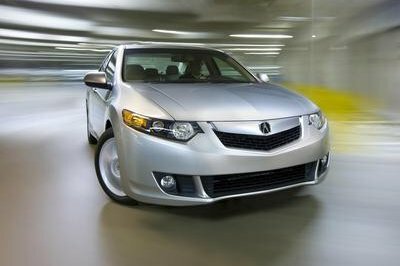 Acura might be best remembered for its “beaked grille,” that large, hideous fake chrome thing that plagued the front of Honda’s luxury brand for far too long. 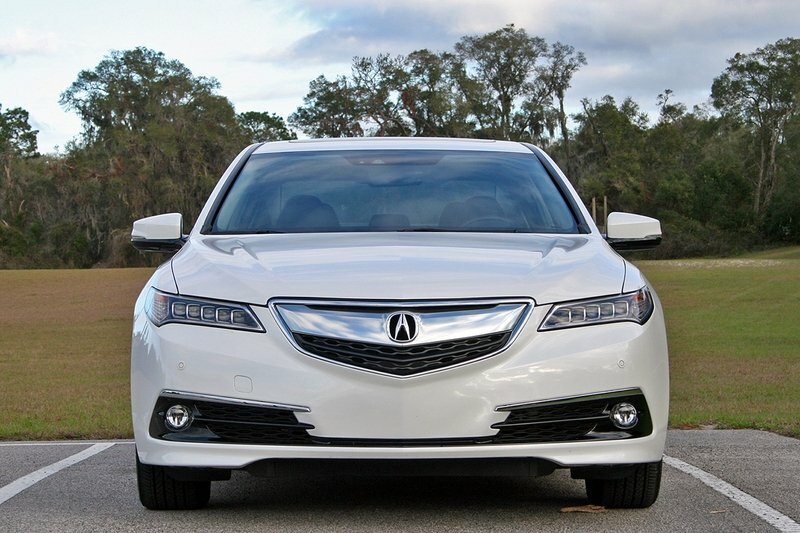 Thankfully Acura ditched the big beak for a smaller, slightly more tasteful one on the TLX. Better yet, Acura is moving completely away from the beak in its recently refreshed vehicles, like the 2017 MDX I tested. 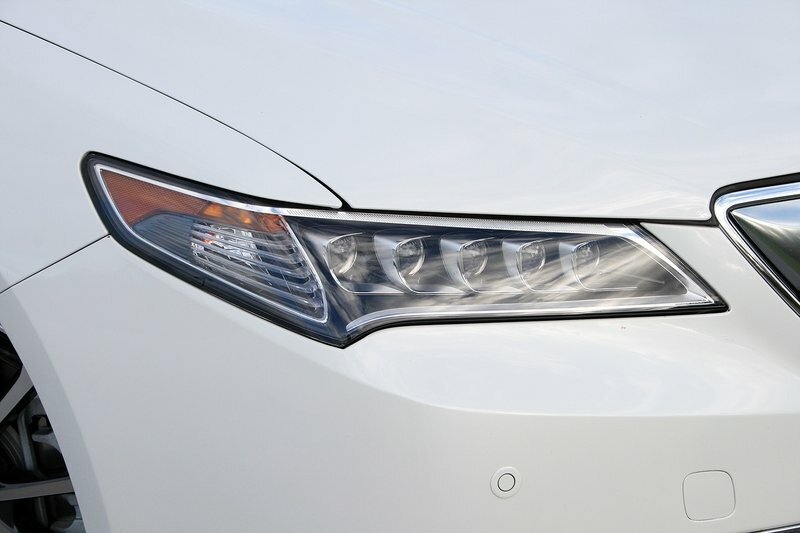 I’d bet the TLX isn’t far from its mid-cycle refresh with a similar six-sided grille found on the three-row crossover. Beak aside, the 2017 TLX doesn’t look bad. I can’t say it’s a completely memorable sedan, either. Its soft bodylines seem almost lackadaisical in their attempt to shape the sheet metal into something sporty. 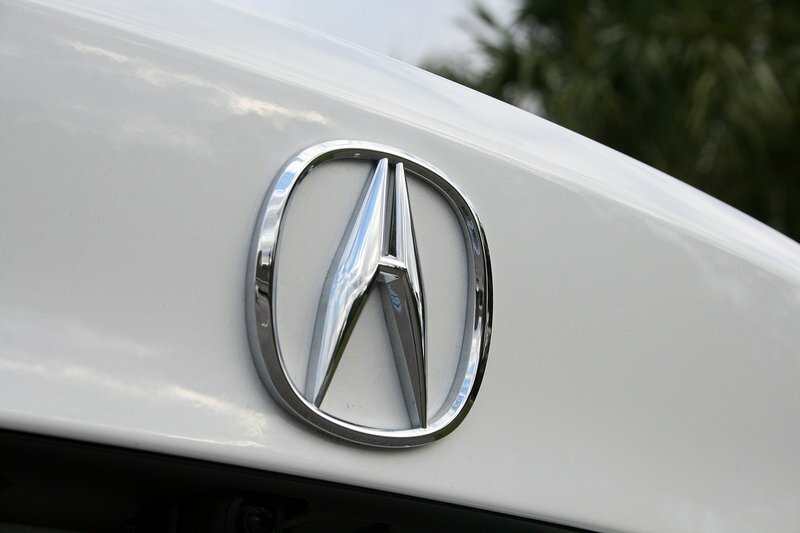 All of Acura’s competitors have a more defined body. It certainly makes me miss the wedge-shaped bodylines of the third-generation TL – the one from 2004 through 2008 with that distinctive character line that ran from the side marker light through the door handles and into the rear marker light. Now that’s an Acura that screams sport. The 2017 TLX resides on the subtle side of the sport sedan spectrum. That actually matches its driving dynamics, which can be categorized as average yet peppy. 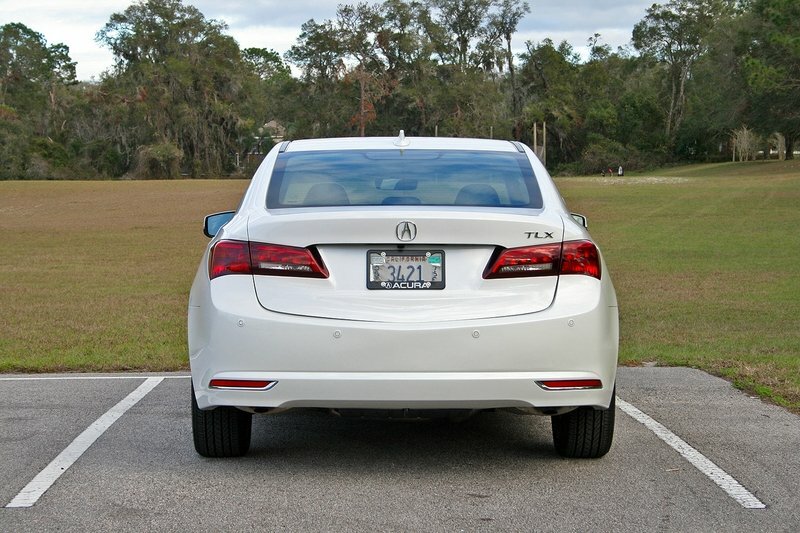 Times have changed though, and the Acura TL/TSX has grown up into the TLX. 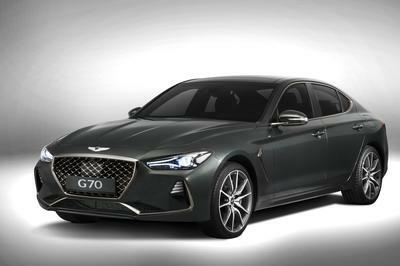 It now looks more reserved and refined, with a decidedly more luxury-minded appeal. Don’t get me wrong, the car does have some interesting exterior features, including the Jewel Eye LED headlights with LED daytime running lights, a subtle body line that runs below the door handles, and the interesting and detailed taillights. I also appreciate how the shape of the grille is mirrored elsewhere in the car, namely in the slight V-shape of the rear bumper and trunk lid. The car rides on 18-inch alloy wheels with machine-faced fronts and painted pockets. They are wrapped in Bridgestone rubber sized in 225/50-series all-season tires designed more for ride comfort and low noise than high levels of lateral grip. 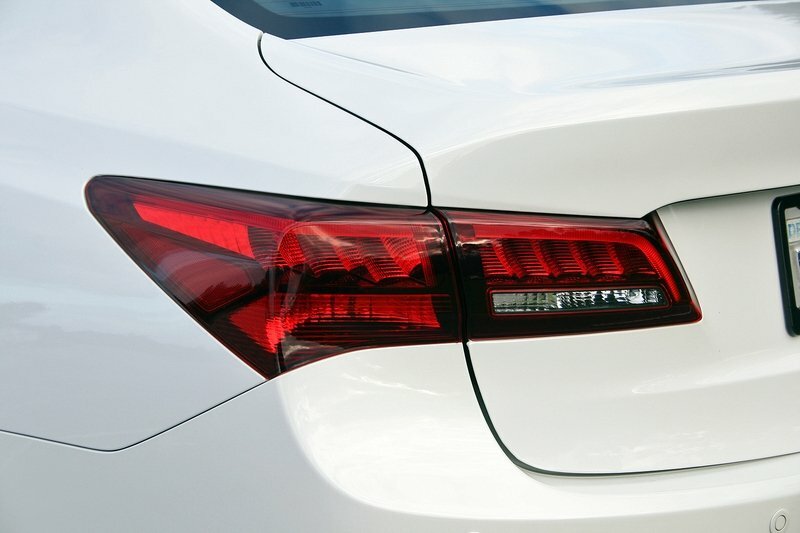 Other touches of brightwork help dress up the TLX, including the chrome trim around the side windows, around the lower reflectors in the rear bumper, just above the fog lights on the front fascia, and of course, the main grille. All told, the 2017 TLX resides on the subtle side of the sport sedan spectrum. That actually matches its driving dynamics, which can be categorized as average yet peppy. But more on that later. 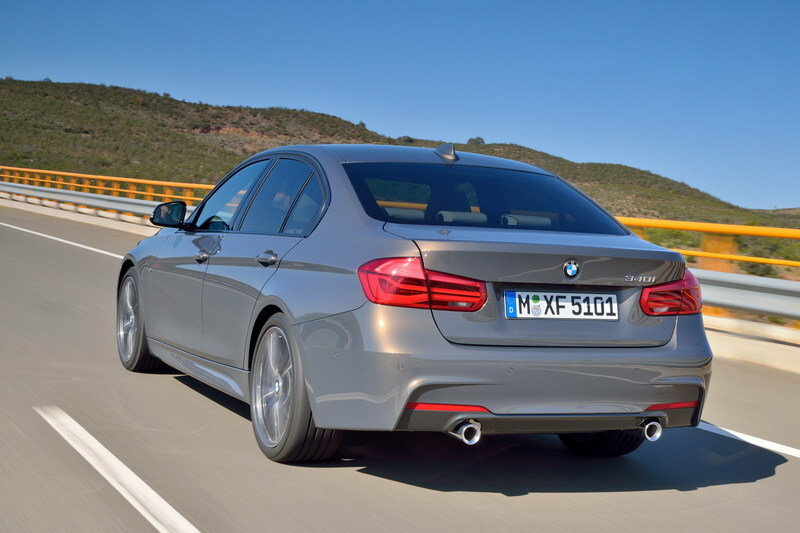 In Also hailing from Germany, BMW’s 3 Series is a perpetual stalwart in the mid-size luxury sport sedan segment. It continues to be the omnipresent option for millions around the globe, including here in the U.S. The 3 Series wears its BMW heritage proudly, sporting that Kidney grille and quad headlights. Like the Audi, BMW’s current design is an evolution from its design a decade ago. 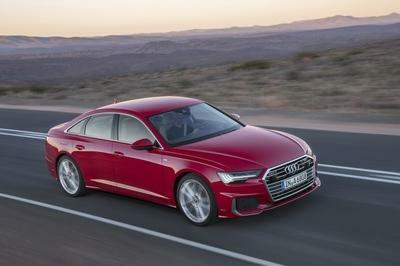 While the Acura has been trying to find itself like a freshman humanities major at a major four-year university, the Audi and BMW are carrying on their family tradition. Admittedly, however, the BMW is looking a bit long in the tooth. A refresh for Bimmer’s venerable 3 Series should be arriving by then end of the decade. The TLX’s interior is a nice place to spend time. 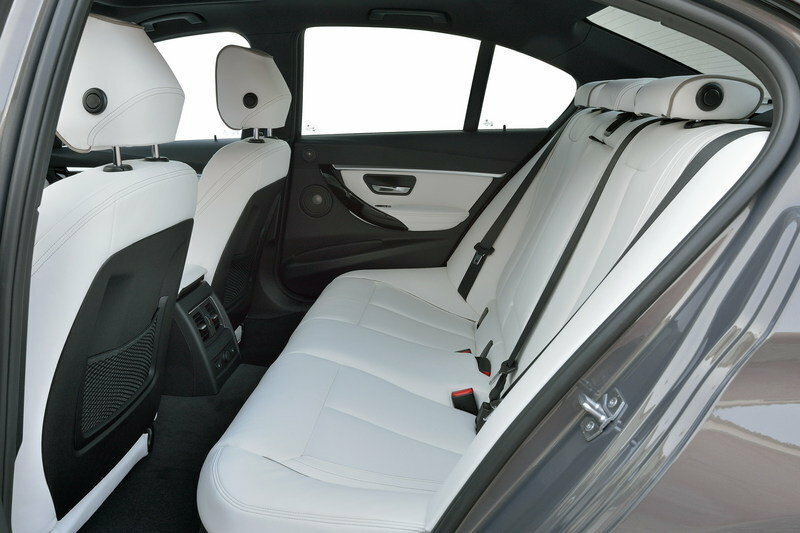 The leather seats are impressively comfortable and thanks to the 10-way power driver’s seat, a comfortable driving position is easily achieved. Much credit is also given to the tilting and telescoping steering wheel. Rear seat comfort is also good, even when sitting behind myself. 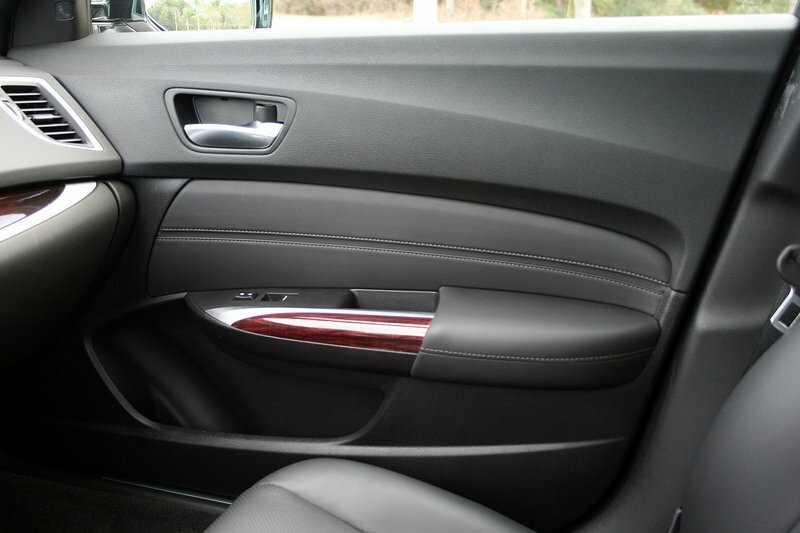 A folding center armrest and padded door panels keep elbows happy, which is also true for the front row. Headroom isn’t bad for anyone under six-foot, five-inches, and getting in and out of the TLX is easy, regardless of what seat. Trunk space is average for this class. Acura was also nice enough to hind the trunk hinges to save luggage from getting squashed. Small storage bins reside under the trunk floor, perfect for ice scrapers, jumper cables, or the like. The interior of the TLX is inviting, comfortable, and upscale, but the odd infotainment system can be difficult to operate and hard to learn. I appreciated Acura’s interior design here, especially with the combination of satin chrome, wood, dark leather, and a padded dash. It looks upscale without being too flashy. I also greatly enjoyed the electronic, push-button shifter. Each button is a different shape, making the shifter easy to use without looking down. Large cup holders keep drinks in place and small storage cubbies reside in all the usual places. 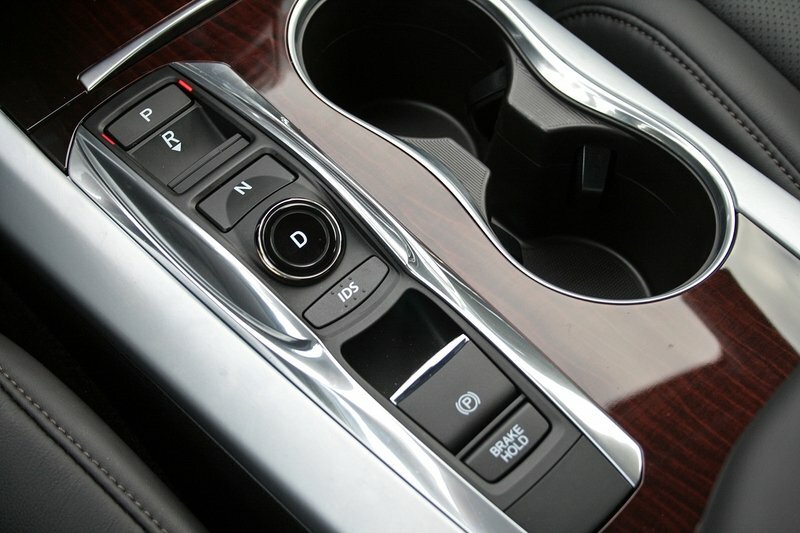 The TLX does have a unique two-tier storage tray just ahead of the shifter and cup holders. It would be perfect for coins or a thin wallet. The tray slides forward to reveal a deeper storage cubby with a 12-volt socket and USB charging port. Of course, there were things I didn’t overly love. 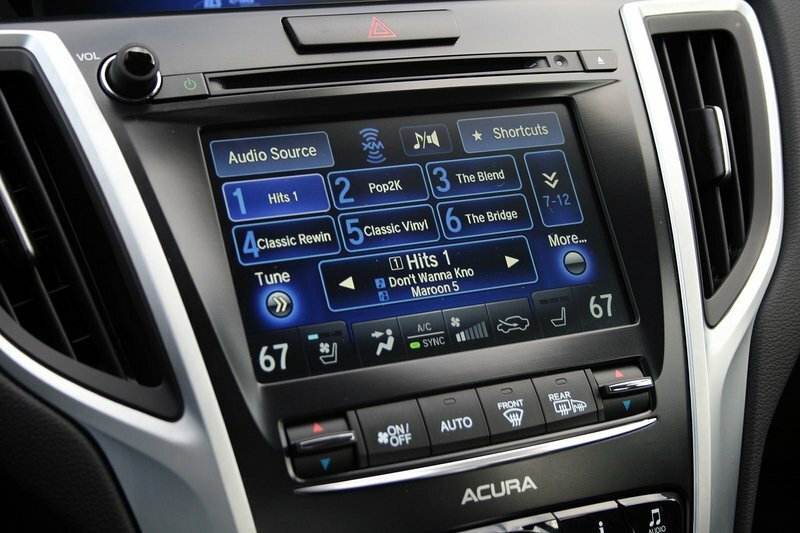 Acura’s current two-screen infotainment system is one of them. It looks interesting, but adds more complexity than functionality, with the top screen serving mainly as a constant display for maps or radio information. The top screen does serve other functions, including displaying vehicle settings. This non-touch-sensitive screen is controlled by the large knob and small bottoms blow the lower display. 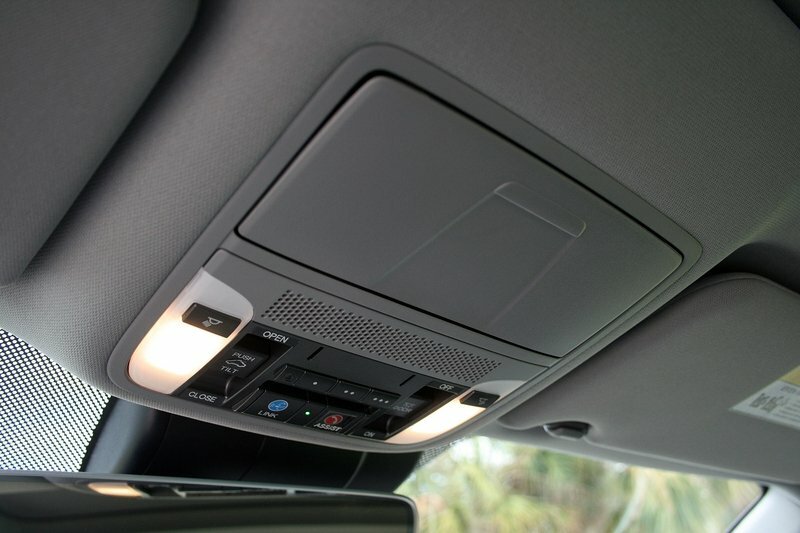 That lower display is touch-sensitive and holds more commonly used features like radio presets, some HVAC settings, and seat heat and ventilation controls. The screen has a busy and cluttered interface upon first impression, but is easily learned after some experimentation. I found myself most frustrated with the lack of a direct tune feature for the radio, along with the digital controls for HVAC fan speed. Acura gives the driver a handsome set of analog gauges. They include tachometer, speedometer, coolant temperature, and fuel level. A small digital readout for mileage and trip information, as well as the current gear, is a constant fixture at the bottom of the small LCD screen. The top section allows for different vehicle information points, like tire pressure, fuel economy, miles to empty, and a compass. While the cluster looks good, it is starting to show its age in these days of fully configurable TFT displays. Steering wheel controls are smartly placed and control the most essential features, including radio volume, the driver information center, and Acura’s active safety systems. All around, the interior of the TLX is inviting, comfortable, and upscale, but the odd infotainment system can be difficult to operate and hard to learn. It also lacks Apple CarPlay and Android Auto, like Honda and Acura’s latest infotainment systems. Audi has made a name for itself over the last decade with interior refinement and quality. The 2017 A4 perpetuates that notion by pushing the bar further towards that 2020 date. Present now is Audi’s innovative digital cockpit, complete with a huge TFT display for all but coolant temperature and fuel level – both of which are still electronic nature. A large infotainment touch screen resides on the dashboard like an iPad and hosts the latest version of Audi MMI software. A separate controller ahead of the gearshifter operates the screen without the mess of fingerprints. The black center of the rotary knob also allows for handwriting letters for input. All told, the A4 is a modern and mesmerizing place to spend time. It’s far less “luxury” and leans heavily towards the “sport” category. The BMW 3 Series, on the other hand, is far behind Audi in terms of in-dash technology and design. There’s nothing wrong with it, per se, but the design is showing its age. Analog gauges with the BMW orange glow reside ahead of the three-spoke steering wheel. A wild array of buttons resides on the center stack, under the iDrive infotainment screen, which like Audi, looks like an iPad screwed to the dash. Down low, the center console is far more form than function, yet it still provides two cup holders and storage space under the armrest. Overall interior fit and finish is good, as well. 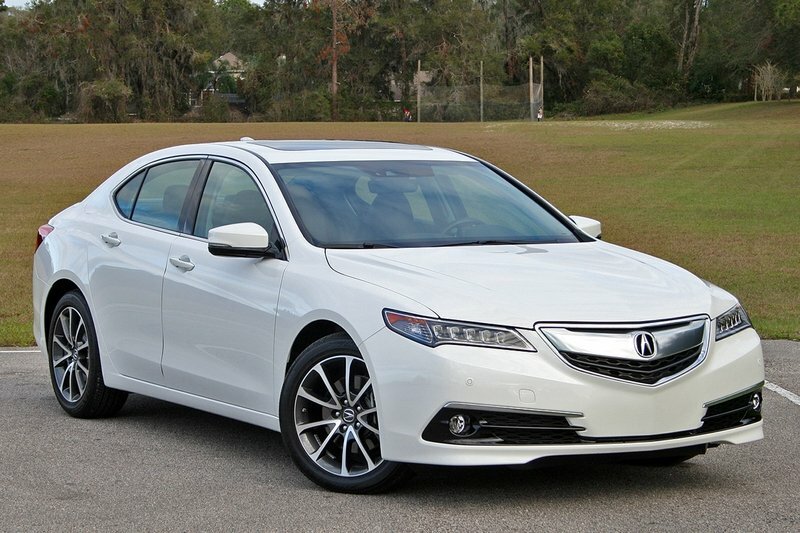 The Acura TLX is available with two different engine, transmission, and drive-wheel options. The standard engine is a 2.4-liter i-VTEC four-cylinder with 206 horsepower and 182 pound-feet of torque. It comes mated to an eight-speed dual clutch automatic, which sends power to the front wheels. Acura’s SH-AWD is available. 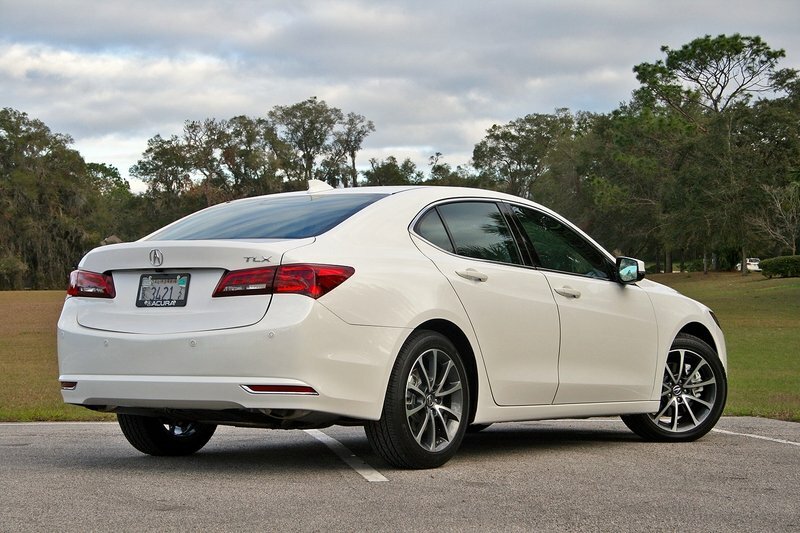 Optionally, the TLX can be had with a 3.5-liter V-6. Like the four-cylinder, this engine uses Honda’s iconic i-VTEC system for variable valve timing, lift, and duration. 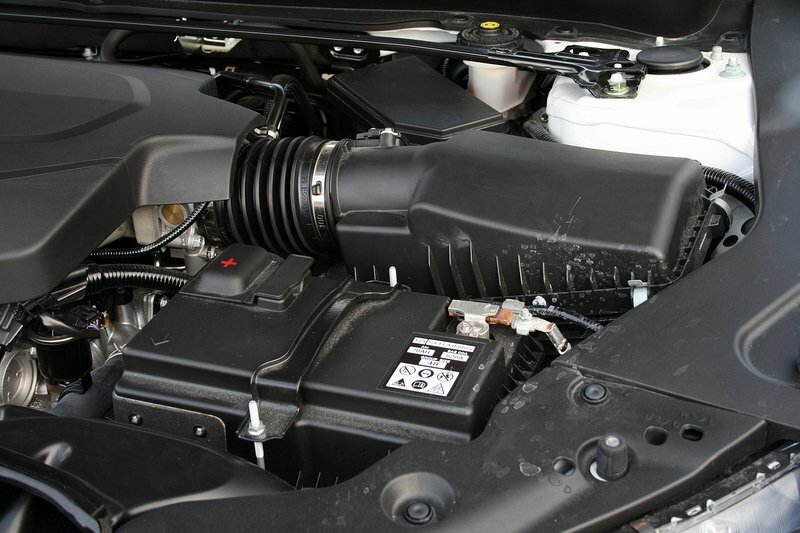 The all-aluminum engine also Variable Cylinder Management to increase fuel economy by shutting off three of the cylinders in light driving conditions. 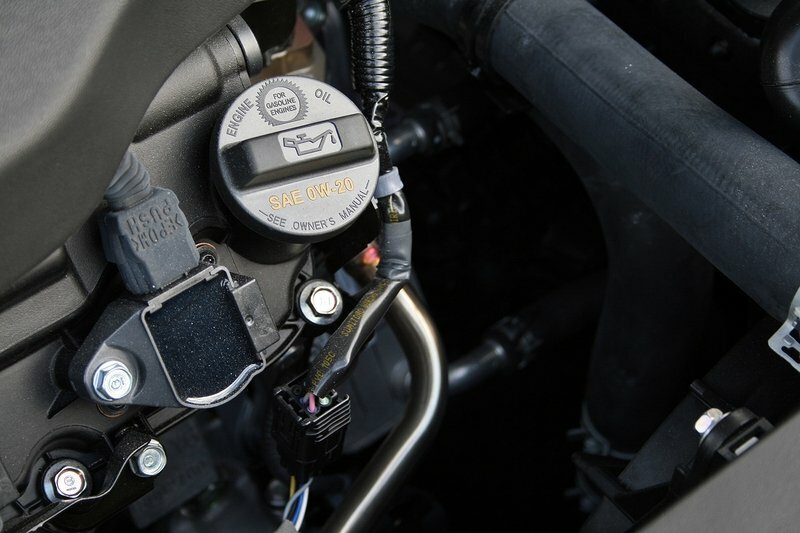 Direct fuel injection helps balance efficiency with performance, too. The V-6 makes an impressive 290 horsepower at 6,200 rpm and 267 pound-feet of torque at 4,500 rpm. The engine skips the eight-speed dual clutch for a nine-speed automatic gearbox. Front-wheel drive is standard, but AWD is options. Acura’s version of AWD is rather unique. It uses torque vectoring to send power to whatever wheel needs more grip, or to whatever wheel needs more power in order to maintain an understeer-free turn. The system, called SH-AWD for Super Handling AWD, is said to be equally at home in adverse weather conditions as it is on drive pavement. From the driver’s seat, it’s clear the AWD system helps mitigate torque steer from the transversely mounted engine. Acura also employs four-wheel steering with both the FWD and AWD systems. Called P-AWS for Precision All-Wheel Steer, the system uses minor steering angles on the rear wheels to help improve handling. 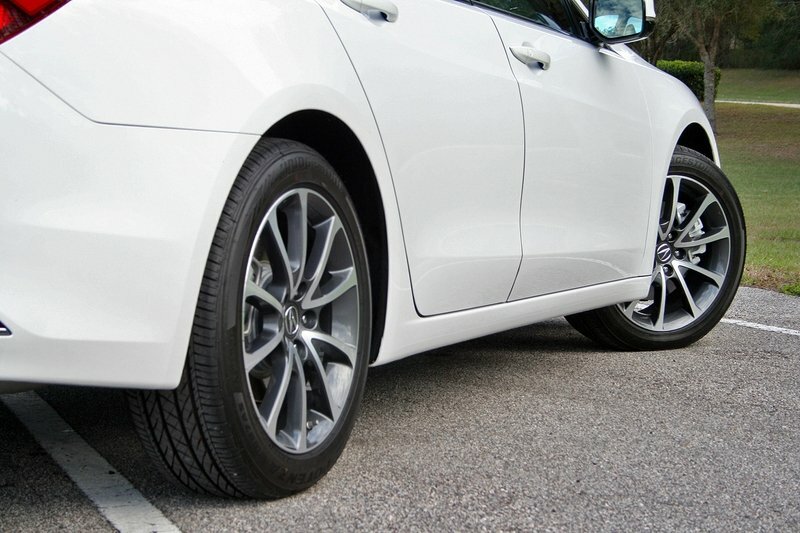 At low speeds, the rear tires turn opposite of the front, helping reduce the turning radius. At moderate to higher speeds, the rear wheels turn in tandem with the front, allowing the TLX to crabwalk between lane changes. The driving experience isn’t noticeably different unless you’re really paying attention. Fuel economy in my V-6 AWD tester is EPA-estimated to be 21 mpg in city, 31 mpg on the highway, and 25 mpg combined. During my week-long testing that covered 333 miles, I averaged right at 25.5 mpg. The V-6 does require premium fuel, so owners will spend more for a tank of gas. 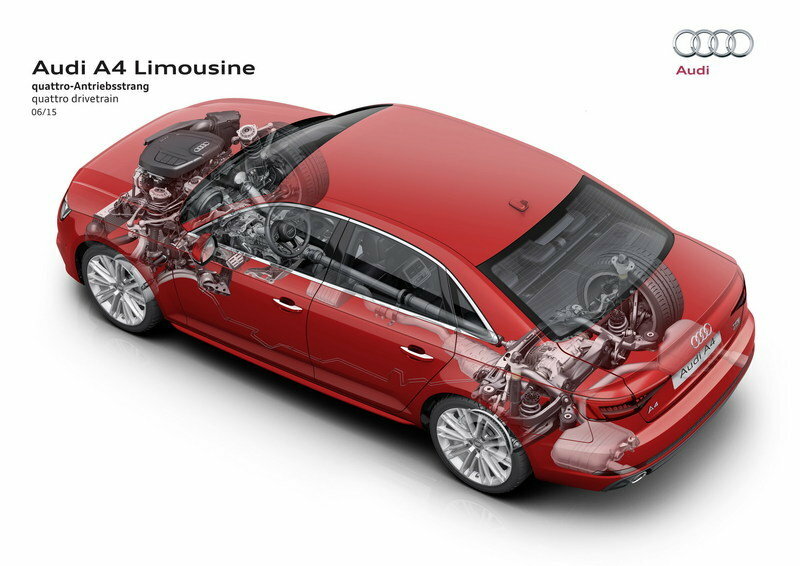 The 2017 A4 comes with a single engine option – the 2.0-liter TFSI turbocharged four-cylinder. This iron-block, aluminum-head engine generates 252 horsepower between 5,000 and 6,000 rpm and an impressive 273 pound-feet of torque at only 1,600 rpm. Torque remains peaked until 4,500 rpm. A second version, called the Ultra, is geared toward fuel efficiency with the use of a different combustion cycle and valvetrain timing. The result is 190 horsepower and 236 pound-feet of torque. This engine tune can only be had with FWD. A new seven-speed dual-clutch automatic is present, replacing the outgoing eight-speed automatic. Audi even offers a good-ole six-speed manual transmission for those who what to row their own. 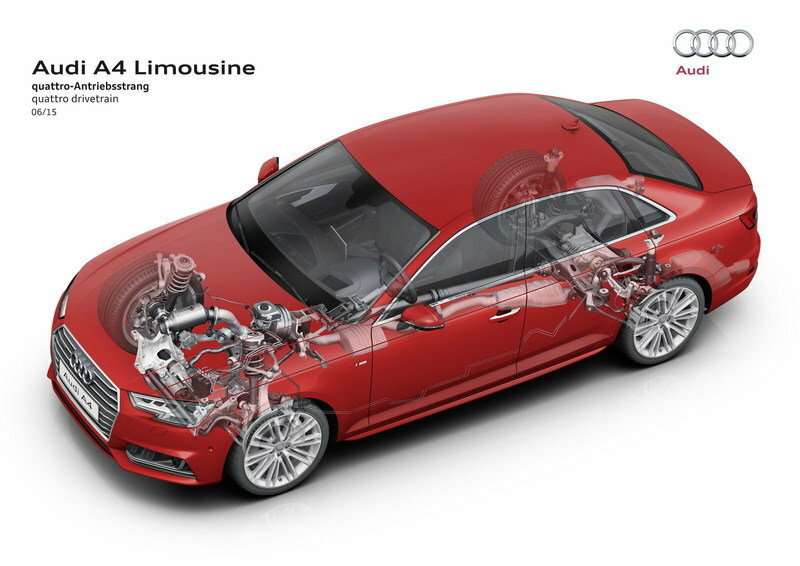 Non-Ultra models equipped with the dual-clutch, the A4 with its option quattro AWD system, hill hit 60 mph in around 5.2 seconds and onto a governed top speed of 130 mph. The Audi is EPA-estimated to get 24 mpg city and 31 mpg highway. Ultra models achieve 27 mpg in the city, 37 mpg on the highway, and 31 mpg combined. 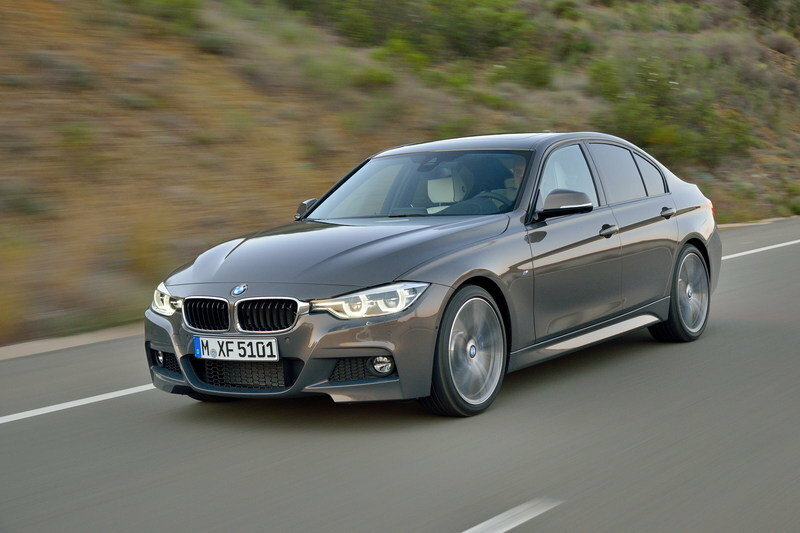 The BMW 3 Series trumps the Audi and Acura in terms of engine and drivetrain options. A total of five engines, two transmissions, and RWD or AWD is offered. The powertrain even includes a turbodiesel and a plug-in hybrid version. However, it’s the BMW 330i that most closely competes here. The engine is a 2.0-liter turbo four-cylinder making 248 horsepower and 5,200 rpm and 258 pound-feet of torque at only 1,450 rpm. An eight-speed automatic sends power to the rear wheels, but can be optioned with BMW’s xDrive AWD system. The grip should do the 330i well in the sprint to 60 mph; We estimate it can do it in 5.5 seconds. Top speed is governed to 155 mph. This 3 Series configuration is EPA-estimated to get 23 mpg in the city, 33 mpg on the highway, and 26 mpg combined. The 2017 Acura TLX offers a comfortable and relaxed driving experience. The car is surprisingly willing to move quickly in a straight line thanks to the V-6’s 290 horsepower and high-revving nature. The steering provides little feedback, though, and the suspension is tuned more for comfort than sport. This makes the Acura feel more like a highway cruiser than backroad bomber. The TLX is definitely willing to burn miles on the interstate. Its adaptive cruise control and lane keep assist help keep the driver from fatigue, while the blind spot monitoring system and lane departure warning help with safety. The driving experience was good, but just lacked that pizzazz I expected. 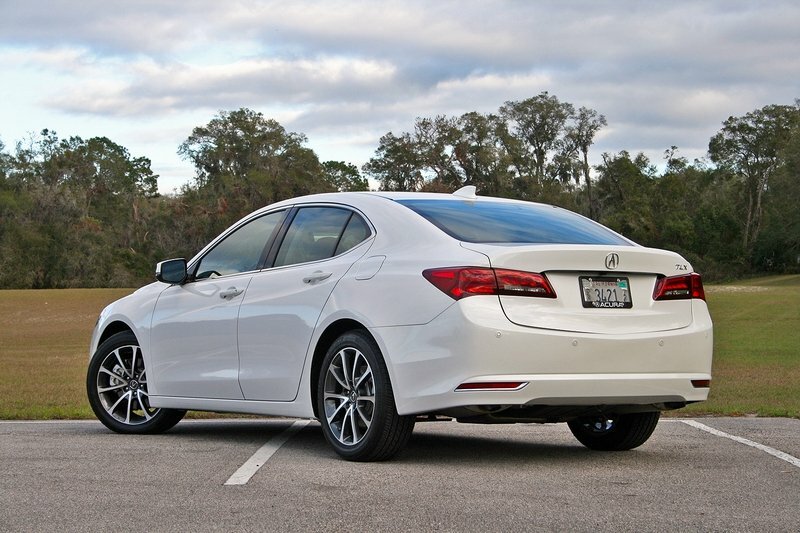 The TLX offers four drive modes. They are Eco, Normal, Sport, and Sport+. The modes are said to change the driving characteristics, but in my experience, the modes provide little in the way of big changes. The nine-speed automatic is programmed to up shift as quickly as possible for fuel economy, and Sport or Sport+ modes don’t seem to change that. Of course, the transmission offers manual controls via the paddle shifters, but the flappy-paddling your own isn’t overly rewarding. Overall, the driving experience was good, but just lacked that pizzazz I expected. That’s not to say the TLX isn’t a bad car or isn’t’ fun to drive – it’s just not the same level as its competition. The Acura TLX offers a slew of active and passive safety features designed to keep the car from getting into a collision, and to protect is passengers should the worst happen. The Insurance Institute for Highway Safety rated the 2017 TLX with high marks in all crash testing except for the small overlap front test. Due to some injuries to the feet, the TLX scored an “Acceptable” rating, one down from the best score of “Good.” Those high “Good” marks were earned in the moderate overlap front crash, side-impact crash, roof strength, and head restraints and seat tests. 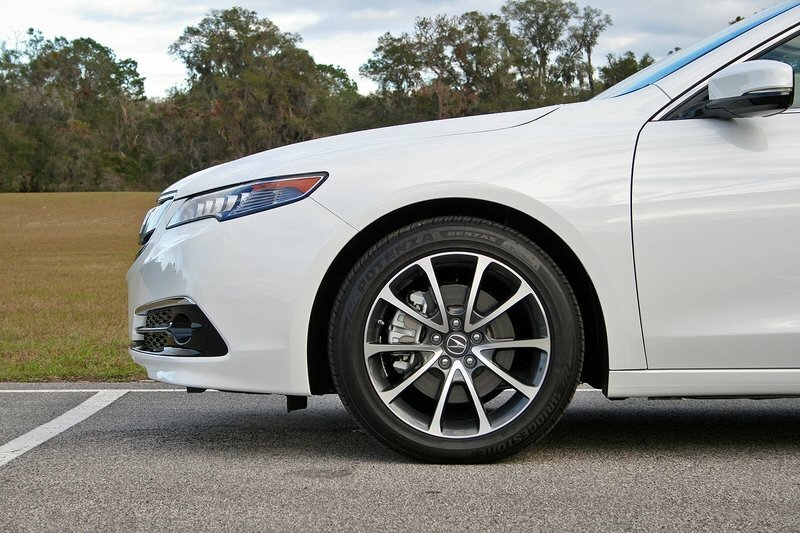 A “Superior” score was earned for the TLX’s front crash prevention technologies, too. 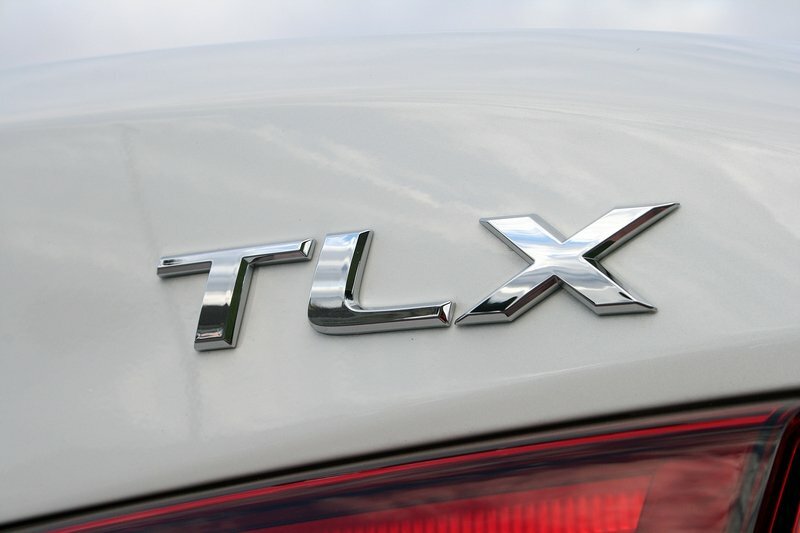 The TXL did fall short on headlight performance and ease-of-use for the rear-seat LATCH anchors. Many 2017 vehicles scored poorly in headlight testing, as it’s the IIHS’ first year in evaluating and ranking vehicles on the metric. We expect to see vast improvements in the coming years as a result of the new evaluation. 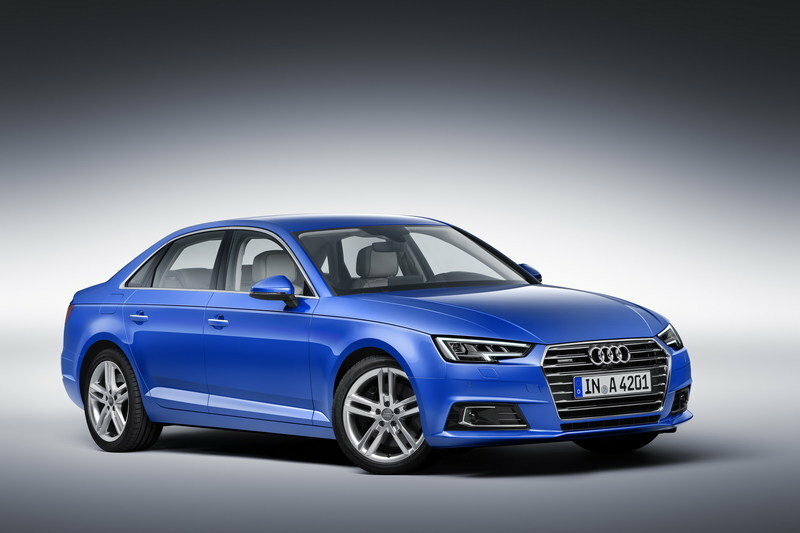 The 2017 Audi A4 scored very well with the IIHS, earning itself a Top Safety Pick+ award. It scored “Good” in all crash tests, a “Superior” in front-crash prevention, and “Good” in ease-of-use for the LATCH system. It did only score an “Acceptable” for its headlights though. There again, this is a new test from the IIHS that automakers will soon conform to. The 2017 BMW 3 Series scored well, also earning a Top Safety Pick+ award. It scored a “Good” in all crash tests, an “Advanced” in front-crash prevention, an “Acceptable” in headlights, and “Marginal” for its LATCH use. 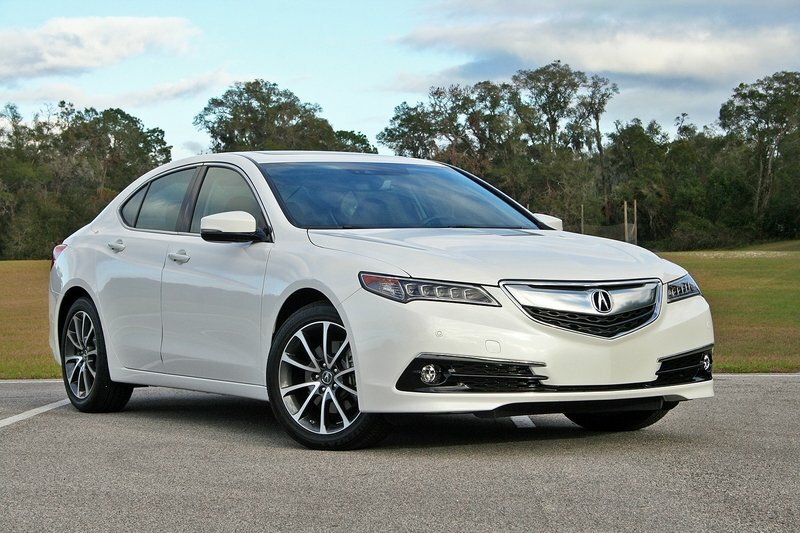 The Acura TLX isn’t new for the 2017 model year, but its pricing did see a small increase. The base price creeps up by $305, resulting in an even $32,000 MSRP. Of course, that gets you a four-cylinder model with FWD and no option options or packages. Selecting the V-6 is a $3,450 choice, while the SH-AWD is another $2,200. The Advance Package adds another $3,200, while the Technology Package is the most expensive single item at $4,050. My tester had all these options, which resulted in a $44,800 price according to its Monroney. Add in another $940 for destination and handling, and the grand total comes to $45,740. 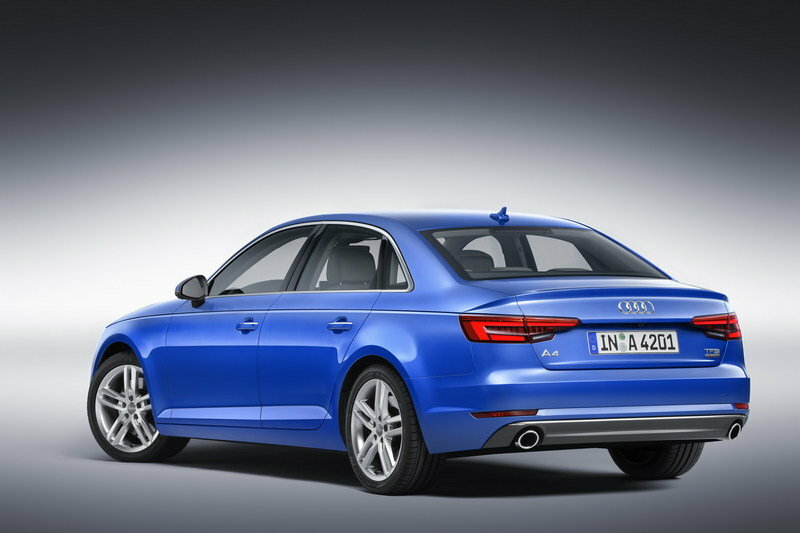 The 2017 Audi A4 comes in three trim levels – Premium, Premium Plus, and Prestige. The Premium starts at $34,900 and comes with the 2.0-liter Ultra four-cylinder in front-wheel drive. Jumping to the standard-output 2.0-liter with FWD pushes the price to $37,300, while adding quattro AWD sets the price at $39,400 before options. The Premium Plus trim shares the same configurations and price gaps, though it starts at $38,700, moves to $41,100, and ends at $43,200 before options. The range-topping Prestige trim does not offer the Ultra-tuned engine, so only two choices remain – FWD and AWD. The former starts at $45,900, while the quattro model starts at $48,000. Impressively, Audi does not change the price between the manual and dual-clutch transmissions. The manual is only offered on non-Ultra models with quattro AWD. A comparable Audi A4 to my Acura TLX tester would be the Premium Plus with quattro. As it sits, this model would cost $43,200. Many options are left on the table, however. 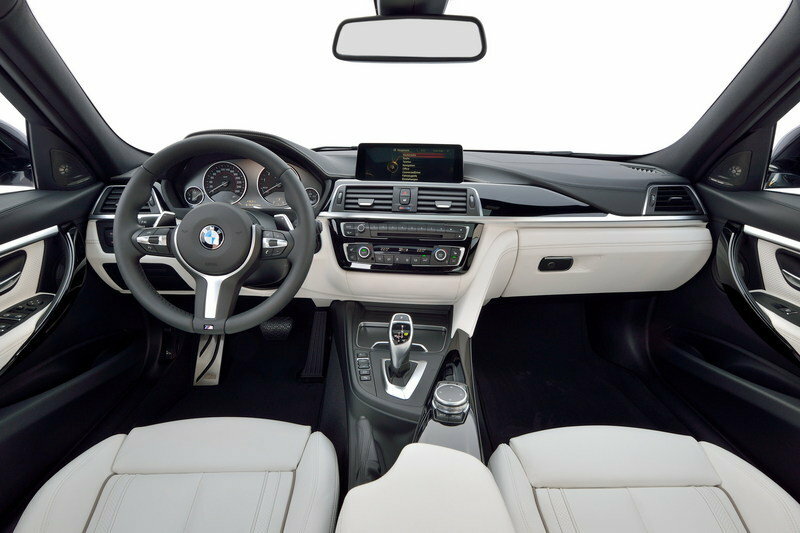 The BMW 3 Series has a whopping 13 variations to choose from, ranging from engine size and drive type, to body style, and drive wheel configuration. In terms of a comparable sedan to the Acura TLX, the 330i xDrive is the closest. It has a starting price of $40,750. And unlike the Audi, which bundles most features with trim levels, the BMW doesn’t technically have trim levels, but leaves customers to choose what packages and options they want. 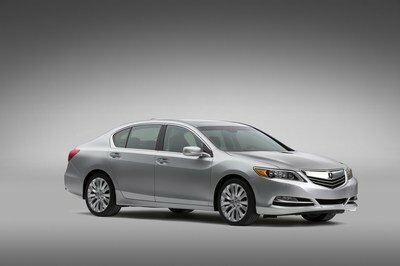 To make an even match with my Acura tester, the BMW would need the Cold Weather Package, Driver Assistance Package, Driver Assistance Plus, the and the Premium Package. That pushes the price to $47,645, which includes the $995 destination and delivery price. 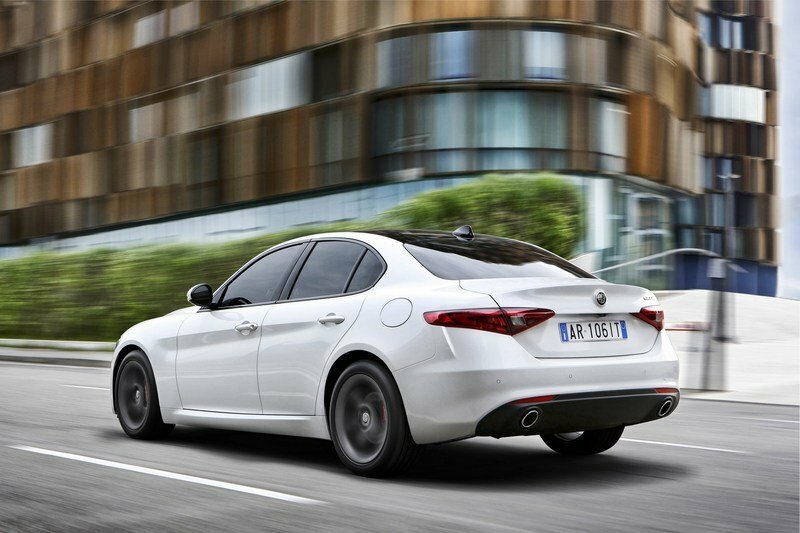 The Giulia is the newcomer to this segment – 2017 is its first model year, in fact. But that hasn’t stopped the FCA-owned Alfa Romeo from hitting hard on its first stab at a four-door sedan in the U.S. this millennia. The Giulia is, of course, the quiet sister to the wild Giulia Quadrifoglio – the 505-horsepower beast with the heart of a Ferrari. 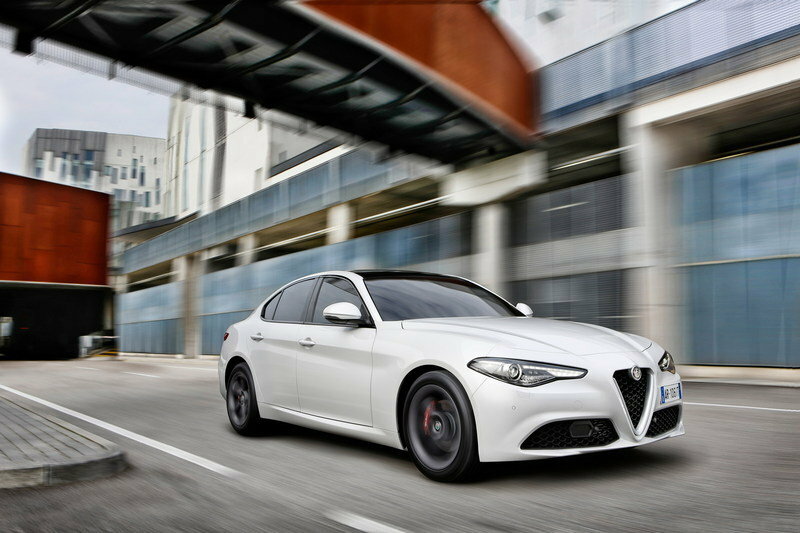 (No, really) The standard Giulia comes in two trim levels – the Giulia and Giulia Ti. The starting price is $37,995 for the standard trim and $39,995 for the Ti. 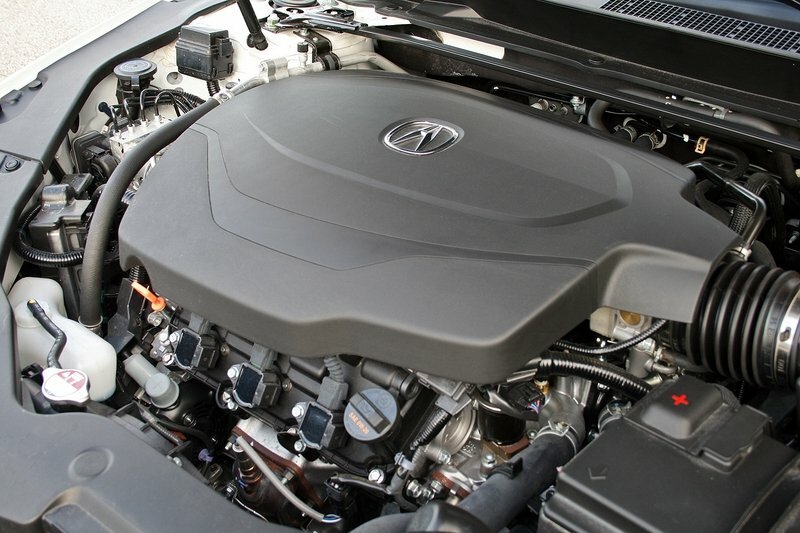 Power comes from a 2.0-liter turbo-four making 280 horsepower and 306 pound-feet of torque. That impressive power is a result of an all-aluminum engine design that holds direct fuel injection, 16 overhead valves with a single camshaft that employs the MultiAir variable valve lift system, and an intercooler to keep air temperatures in check. Power is sent to the rear wheels, or to all four wheels when AWD is selected. As of this writing, Alfa Romeo has not launched the build-and-price website for the standard Giulia sedan. Opposite the Ala Romeo, the Mercedes-Benz C-Class has been around since the dawn of man (or so it seems). 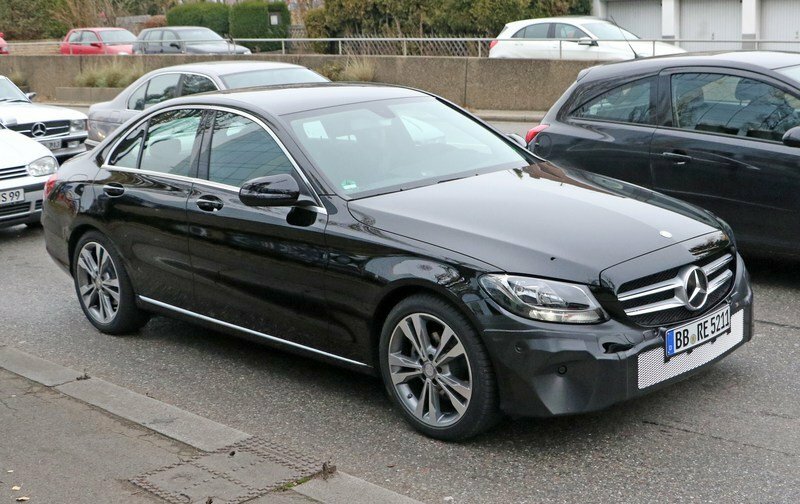 Of course, Mercedes has kept the C-Class sedan fresh over the years, with the latest version taking after the well-to-do S-Class. 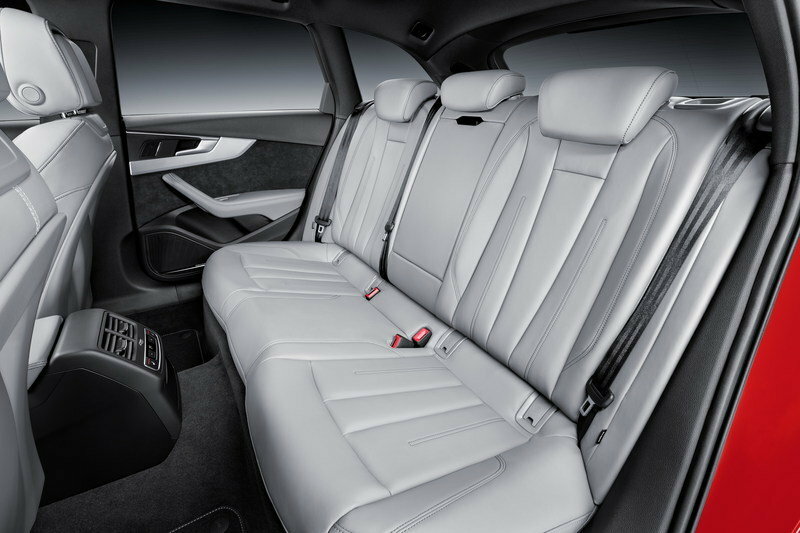 The interior swings far toward the luxury side, leaving the sporty nature to its AMG-branded brethren. And like BMW, Mercedes offers a dizzying number of variations on the same theme, with coupes, convertibles, performance models, and different engine options in each. For this comparison, it’s the C300 4Matic sedan that best levels with the Acura. Two option packages are offered that change the C300’s demeanor: the Luxury and Sport Package. For this test, it’s the Luxury Package. Speaking of packages, you’ll need to select the following to make the C300 comparable to my Acura tester: the $2,050 leather seating package with memory seats; $1,030 heated and vented front seats; and $2,950 Premium 2 Package, which includes blind spot monitoring, keyless-go, SiriusXM, and LED headlights an taillights. That brings the price to $48,805. 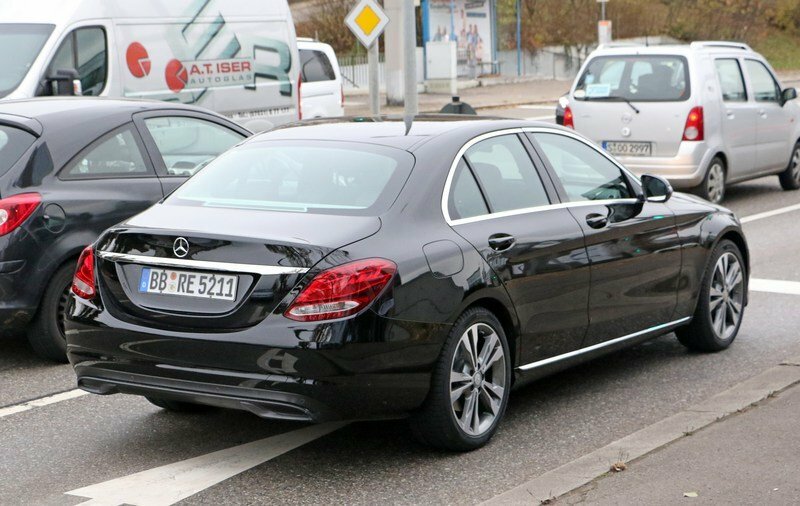 Find out more about the Mercedes-Benz C-Class here. The 2017 Acura TLX offers a smooth ride, a peppy V-6, and sure-footed AWD in a handsome yet almost anonyms package. 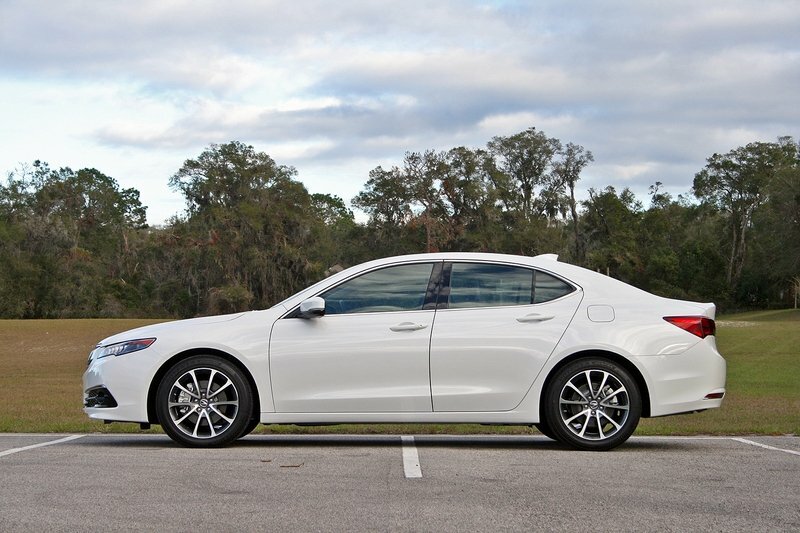 It’s that last bit that is the TLX’s biggest downfall – it’s just boring to look at. It doesn’t inspire and it doesn’t create a lasting impression on its onlookers. It’s like a luxury appliance made by a high-end brand, but is designed to look like the average Whirlpool product. 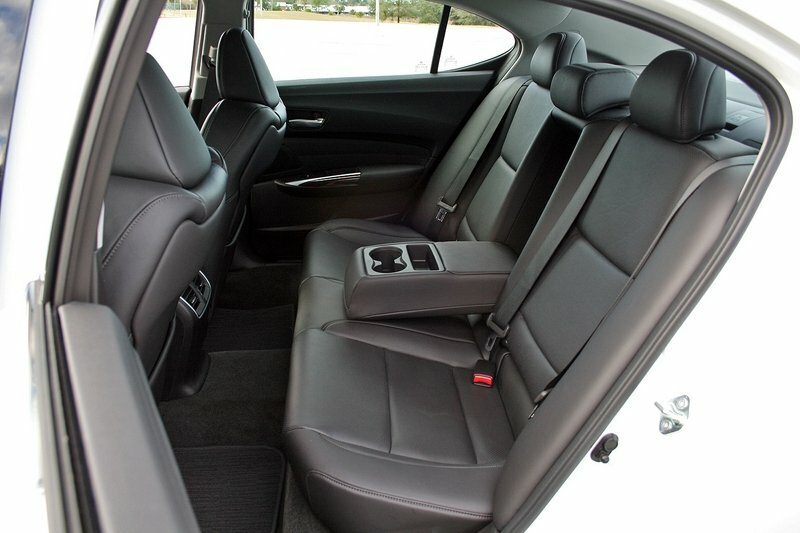 While the TLX doesn’t offer its onlookers a good time, those inside its five-passenger cabin will find themselves wrapped in mid-level luxury comfort. Sure, there are quirks in the cabin and I’m not a huge fan of the infotainment system, but honestly, the TLX does work well at being a comfortable cruiser. There are plenty plenty of choices in the mid-size sport sedan segment, so customers can potentially have a long shopping list from which to narrow down. 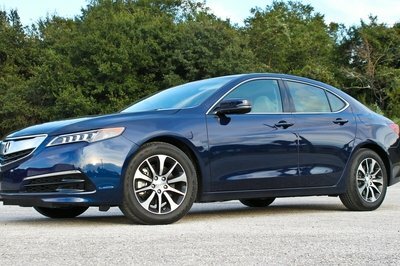 Those wanting that soft ride in a premium sedan that doesn’t call unnecessary attention to itself, yet has all most of the bells, whistles, and active safety systems folks crave these days, then the TLX should make the shortlist.